Happy Halloween!!! Dust off your witches’ broom because we’re cruisin’ tonight baby! If you don’t believe in the spookiness of graveyards, ghosts, and goblins, let me tell you something even scarier. Less than a week from today this nation votes in the midterm elections and during the last midterms in 2014, voter turnout was the lowest it’s been since World War II. Not sure about you but we think that’s more terrifying than a zombie pulling us into the underworld. Get out your spooks today and get your gorgeous self to the polls next Tuesday. OR ELSE!!! Now that you’re sufficiently terrified, come revel in Resident’s own Halloween horror at the Monster Hop Bash tonight! Show us your best ghoulish dance moves as we get down to some cover bands and parade around in costume. If you have any regrets about missing Halloweekend, today is your day! Before the party begins, come see the rock concert meets musical retelling of a brutal 1892 murder at LIZZIE. There’s no finer way to get in the spirit and immerse yourself in a ghostly and true tale. The show begins promptly at 8 pm — see you then. November kicks off with a bang tomorrow at 8 as we welcome Still Corners for their sold-out show and we could not be more excited. Friday is another momentous occasion with DJ Paul V ringing in his 16th anniversary of hosting legendary party, The Prince and Michael Experience. 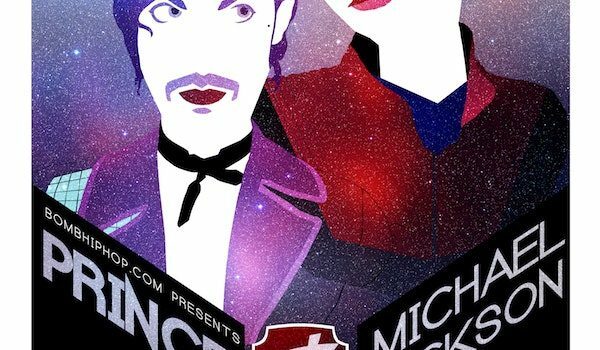 Whether you’re a diehard Purple Rain fan or moonwalking connoisseur, you’ll be shaking your groove thang all night long at this gathering. Saturday begins with the return of Voyager Institute, your favorite class meets Ted Talk / Variety Show. Come prepared to study up as we delve into The Unauthorized History of the LA Weekly with folks previously on the frontlines spilling major tea. Nighttime festivities continue with a special edition of Green Slime featuring a night of Spanish gems from the 60s and a live performance from Los Hurricanes. We close out the weekend with Grateful Brunch in the garden on Sunday! Bring your favorite deadhead friend and swing by for brunch, drinks, vendors, and a live band. After performing your civic duty on Tuesday, proudly wear your “I Voted” sticker and come celebrate the legendary Charles Bradley for what would be his 70th birthday celebration! Join us as Daptone Records presents his fourth and final album, Black Velvet, a collection of 10 songs by the late great Screaming Eagle of Soul. DJs will be spinning from 6-9 pm so drop by and show off your voting pride — we’re offering drink specials to those sporting a sticker. The evening continues with a show from Big Dataso get excited. Peeking ahead to the rest of November, we have a special visit from Anna of the North on 11/8 and we just added Ambar Lucid to the bill! At only 17 years old, she’s not only cooler and more talented than we’ll ever be, she has also been dubbed a “songwriting savant” and is definitely one to watch. The following day Viva Pomona! hosts a free show with Ginger Root, who’s new to the scene with a “fresh take on Bedroom Pop.” Here’s a taste of what to expect and we’re digging it. Fans of discussing video games, comic books, wrestling, and more will enjoy the upcoming visit from quirky podcast Struggle Session as they head to Resident for a live recording on 11/19. Leslie Lee III, Jack Allison, and Jonathan Daniel Brown will be on stage covering every topic under the sun. Last but not least, there’s a recent and very exciting addition to our calendar! Save the date for 12/7 as new project The CIA takes over our stage. You have to just trust how mum we’re being on this and plan to be there. You’ll be surprised and stoked. May your Halloween be a witchy delight! The next time we speak the political climate may be heading in a slightly different direction. No matter what you do, know that your vote and voice matters. Get that sticker. VOTE!